Social Media Marketing: Google+ and Your Small Business | 321Launch! 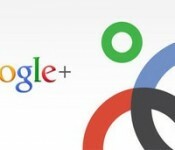 Google Plus has become the newest leader for small business and social media marketing. The new social media platform offers advantages that Twitter and Facebook cannot, but how do you know what to do or what they are? Start by signing up and following these 5 steps. Creating a “vanity URL” is a great way to increase a social media presence online for your small business. This type of URL ends with the name of your business instead of a jumble of letters and numbers. On Facebook, a custom URL looks like this: www.facebook.com/NameofYourBusiness. By default, your Google + page looks something like this: https://plus.google.com/100127498544123396374/posts. Not very professional, is it? Instead, try http://www.gplus.to to create a personalized URL such as http://www.gplus.to/NameofYourBusiness. It’s more user-friendly and it puts you in the search bar which is better for marketing. An extra tip to remember: keep your custom URLs the same throughout your different social media accounts. This will make it easier and more convenient for customers to find and use your sites. How many times have you come across an incomplete website or social media profile? It’s extremely frustrating and hard for customers to like your small business or service if they can’t find the information they need. An empty page can give a poor reflection and opinion of your business, whether it is deserved or not. On your Google Plus page, be sure to fill out all the details to get the attention of customers! Have a great description in your introduction, all of your contact details and links to the most important online properties such as blogs and other social media platforms. This may seem obvious, but it is common for small businesses to forget to add a Google Plus badge to other online properties. Make sure that you are marketing your profile by placing a Google Plus button at the bottom of your blog or prominently on your website. 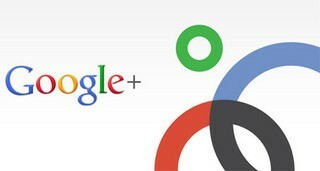 You can also promote your Google Plus page, by linking content and posts to sites like Facebook and Twitter. To get the most out of this social media platform, try to concentrate on creating circles on a micro level. Treat each business on a case-by-case basis and release names into circles that you definitely want to promote your page content to. One of the greatest advantages of G+ is that it allows you to choose which of your circles see each post, so you can highly target your messages. Use this to your advantage but remember, no one wants to be sold to all the time. Keep your content a good mix of articles, tips & tricks, images, videos, infographics etc. About 20% of your posts should be about your business, sales, promotions, events etc. You can also add names to “influencer” circles, which will help you connect with people outside of your immediate circles. Connect with your customers through Google Plus hangout video chats and make the experience awesome! This is a great marketing tool to get your customers directly involved with your brand. Schedule a hangout with your CEO and customers for a conversation and watch the positive word-of-mouth spread like wild fire. You can also ask your customers for their opinions in hangouts, getting valuable market research for your small business. How do you use Google Plus to market your small business? We’d love to hear about your favorite features!